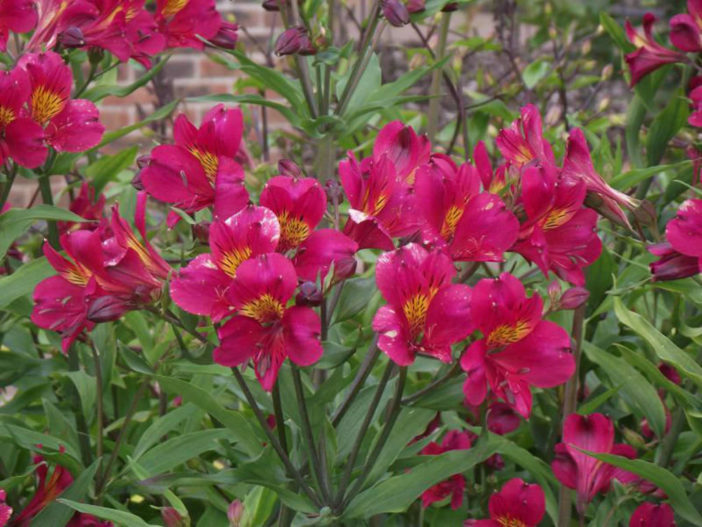 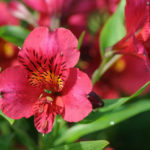 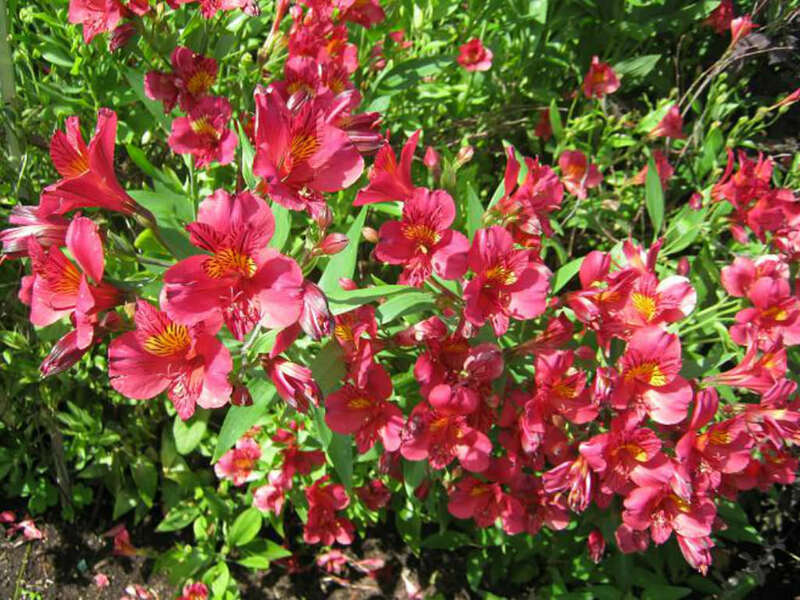 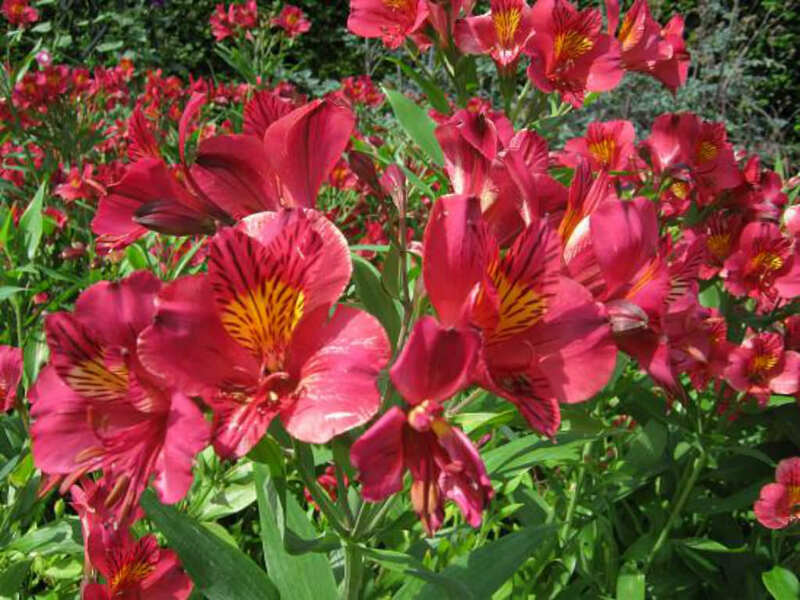 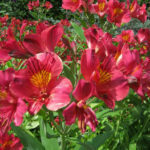 Alstroemeria ‘Tessa’ is a herbaceous perennial with mid-green, lance-shaped leaves and terminal clusters of red flowers on 4 feet (1.2 m) tall stems. 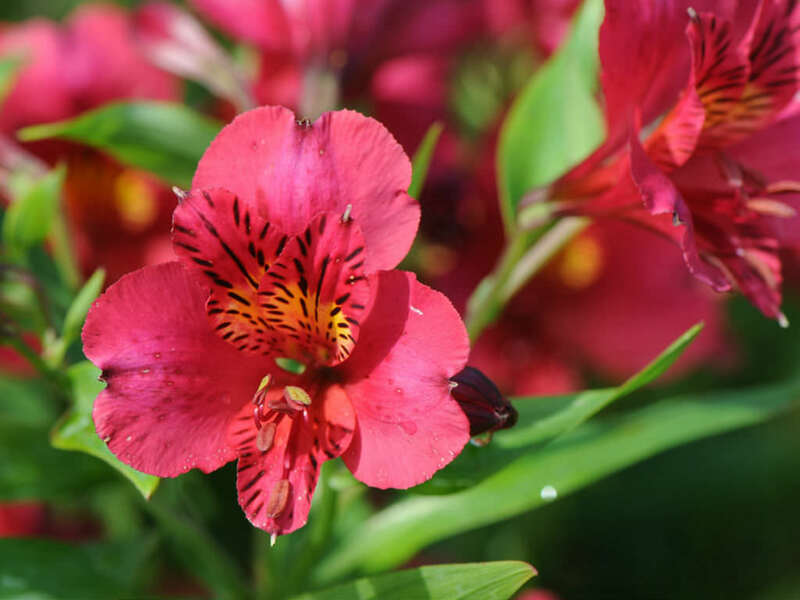 The inner petals have dark red streaks and the upper two a small yellow blotch. 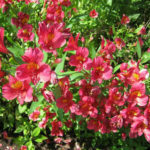 USDA hardiness zone 8a to 10b: from 10 °F (−12.2 °C) to 35 °F (+1.7 °C).